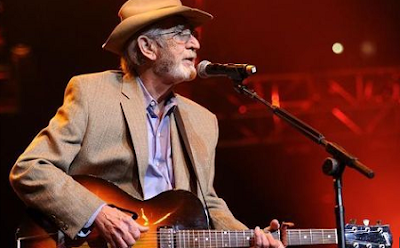 Country singer Don Williams - a 2010 inductee into the Country Music Hall of Fame has died after a short illness, his rep says. The Texas native began his music career in the 1960s, but went solo in 1971. He was known for his smooth voice and imposing stature, which scored him the nickname "Gentle Giant." Williams had 17 number one country hits ... including "You're My Best Friend" and "Tulsa Time." His biggest hit came in 1981 - "I Believe in You" reached the top of the country charts and #24 on the Hot 100. Williams briefly retired in 2006, but made a return to touring in 2010 ... the same year he was inducted into the HOF. He played his final show in 2016. Don's survived by his wife of 57 years, and his 2 sons. He was 78. » Don Jazzy To Give Away N1 Million: See How To Participate! » Two TOTALLY NAKED CHICKS Fighting In Public-kindly share after viewing the pic and please don't take it personal cos you prolly might know them.